Fabulous. Astounding. Outstanding. Calgary Corporate Event DJs. Dance! Shout! 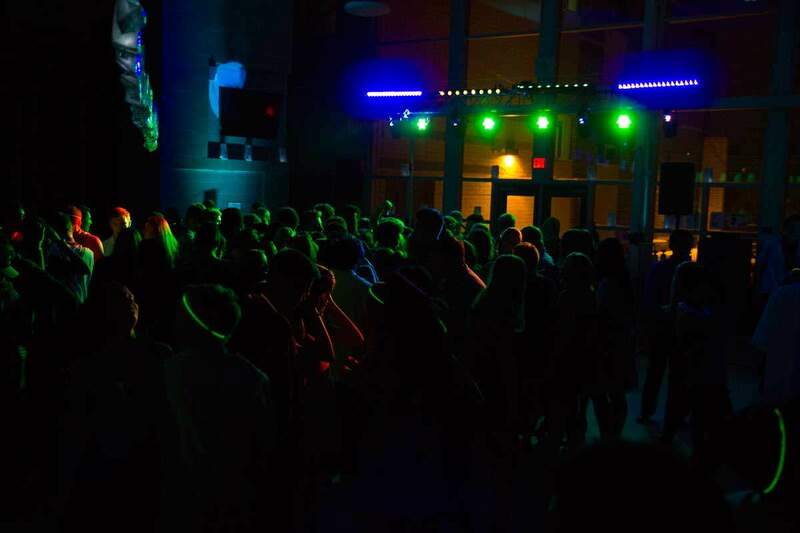 Productions has been providing corporate event DJ’s to local businesses, both large and small, in the Calgary area for over 20 years to entertain their employees, partners and strategic guests. Our experience delivering corporate event DJ’s for holiday parties, product launches, team building events and other celebrations is why companies like Safeway, Garmin, ATB Financial and many more have trusted Dance! Shout! Productions year after year! Our approach to corporate DJ entertainment will boost morale, add value and instill camaraderie between your employees. That’s why we were awarded Best DJ in Canada in 2013 and continue to exceed those standards to date. We always deliver exceptional performances with a level of professionalism that is a positive reflection of your brand and corporate culture. Our Calgary Corporate Events DJs are always presented in professional business attire with aesthetically pleasing equipment to match your level of sophistication. Whether your vision is an elegant cocktail event, a fun theme-filled corporate event or something in between, Dance! Shout! offers the perfect corporate DJ solution for your company and your budget. We would love to discuss your event plans and vision. We won’t complicate things with a bunch of intricately priced DJ packages either. Our Calgary Corporate Event DJ package is just $1195 for most events up to 7 hours! Amazing. Super accommodating, flexible and easy to work with. Not to mention the music was fantastic. Thank you Dance! Shout! Productions for helping us put on an amazing event!! Our corporate event DJs strive to create your perfect playlist. Tell us what songs you like. Our DJs will customize the music to fit your company culture. You’ve worked hard all year and this is your chance to enjoy the fruits of your labours. Don’t settle for just any corporate event DJ. Don’t worry. We’ve got you covered. Let Us Save You Some Stress. Let our professional DJs handle the music and microphones at your corporate event. We’ll provide a system with everything you need to be heard. Whether it’s a keynote speaker’s speech, or an address by the CEO, we have the right tools to make sure your message is heard loud and clear. This Is Your Chance To Let Loose. Our professional DJs are going to do everything in their power to make your corporate event as perfect as you’ve dreamed it would be. Your corporate party will be an event your guests will be talking about for years to come. We are part of over 150 events every year. Because of this we’re familiar with the staff and layout at nearly every venue in Southern Alberta, as well as venues across the country. 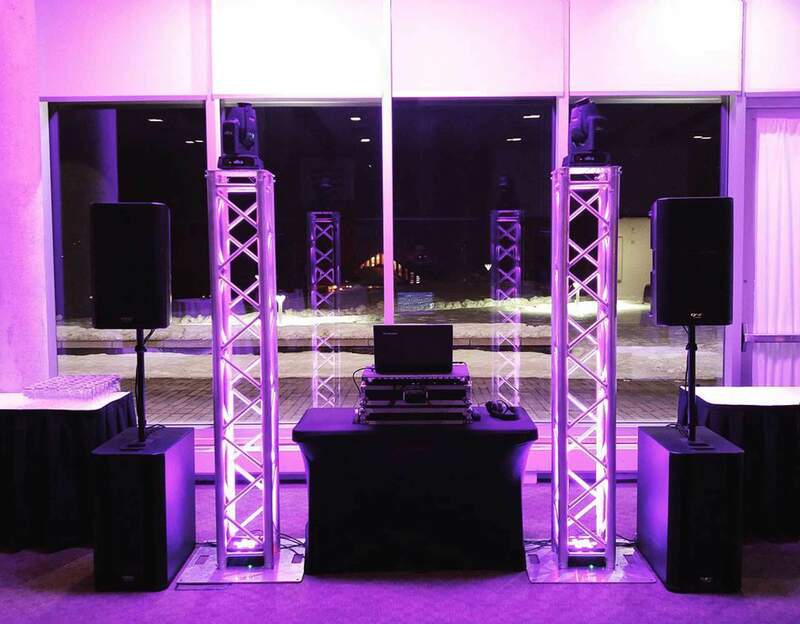 It doesn’t matter if your corporate event is at the Telus Convention Center, one of the many rooms on the Calgary Stampede Grounds, or one of the many hotel convention centers, our DJs know how to get in and make your corporate party an event to remember. We had our corporate holiday party with 685 attendees this past weekend. Dance! Shout! Productions was fabulous to deal with during the entire process! Their expertise and responsiveness was much appreciated and I trusted them fully to pull off our party without a hitch and within my budget. The dance floor was packed the entire time! We get it. Calgary Corporate Event DJ Packages can be confusing, and all you really care about is that things sound good, look good, and that every one has a great time. That’s why we got rid of them. $1195 is all you have to pay for most corporate events up to 7 hours with one of our DJs. Our setup and tear down time isn’t included in your time and if your corporate event is longer than 7 hours each additional hour is just $100. Everything for a successful corporate event is included – wireless mics for speeches, LED dance floor lighting (if you want it), and unlimited consultations to make sure everything goes just right. Additional customization’s such as our photo booths, LED uplighting, monogram projections, and video screens are also available. Every Dance! Shout! Corporate Event gets everything listed below!